Writer's note: I hesitated on writing about Bersih 4.0. Because after all, as someone who is part of the brain drain in Malaysia, as someone who saw that it's better to leave than fight, I don't see myself as deserving to comment as compared to those who risked going down to the rally. But looking at how the discussion is exploding online, I felt the need to pen this down, in hopes of getting another perspective of this rally out. Over the past few days, news about Bersih 4.0 flooded my newsfeed. Many of my Malaysian friends either attended or supported the event, directly or indirectly, and my social media was filled with yellow. I can't help but to feel a sense of admiration for those who went down and supported the rally, and a sense of pride that my fellow countrymen were able to pull this off. While we cannot deny that in terms of turnout and conduct, Bersih 4.0 can be considered a success, numerous other questions and issues were raised to in response to the rally. Questions that we definitely need to answer if we are serious about changing the country and not let our efforts top at Bersih 4.0. First, will the rally achieve the change it was supposed to, or will it be just like a one-off carnival, where the status quo remains after everyone has packed up and gone home? Second, was there a noticeable lack of Malays, the majority population, during the rally? And how will it affect the perception of the rally? One of the biggest criticism against Bersih 4.0 was its power to change the status quo. Critics argued that at the end of the rally, supporters will just go back to their normal life and continue on, while Najib and co. (the main targets in this rally this time round), remain in power without any noticeable change. This is exactly why some analysts are saying that the police have so far remained peaceful because any provocation would just bolster the cause of Bersih 4.0. Supporters of Bersih 4.0 may argue that the rally is not the end of things, that it is to send a clear signal to the administration that the citizens had enough, or that the main purpose is to change people's mindset and mentality, as a start to something bigger. 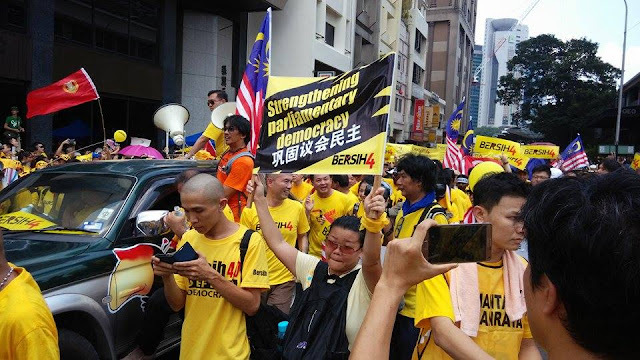 But let us not forget that the organisers of Bersih 4.0 did list down five demands as part of the rally, which includes a free and fair election, a transparent government and the right to demonstrate. Aside from the right to demonstrate, how many other demands can the organisers achieve before the rally peters out? Minimal to none, if the government continues to play the ignorant strategy. Even one of the biggest protests — the Umbrella movement in Hong Kong — failed to achieve anything substantial at the end of their protest because the administration simply acted dumb to the protests. They simply let the protest be, while everyone except the students carried on their normal lives. The movement may have seemed big, but it failed simply because of one reason: it lacked the support of the majority of the population. And Bersih 4.0 may be just facing a similar issue too, which the apparent absent of Malays as some claimed. There are already talks of it on social media. Hafidz Baharom, in his article, claims that there are those who already took to social media to mock the lack of Malays. Joe Najib, in a more succinct analysis, wrote that Bersih alone is not enough because we are not reaching out to those who truly matter. The rural Malay voters. The core support of UMNO. This is the sentiment that I share, and perhaps the biggest challenge right now in changing Malaysia. The number of yellow participants may look big in photos, but the silent majority is bigger. No matter how many rallies you plan, it will not change anything if your message does not resonate with the majority of the population. If we are truly serious about changing Malaysia, we need to stop having rallies. At least for the time being. Rallies work great at sending your message across, but it works best if everyone buys into your message. If a significant population decides that your rally works against them, my advice is to not have rallies at all. Instead, focus on reaching out to those who are most likely to buy into government's propaganda. Start to change their mindset, make them see the other side of the story. This will not be easy, but it is the most effective and longest-lasting way to introduce a mindset change. 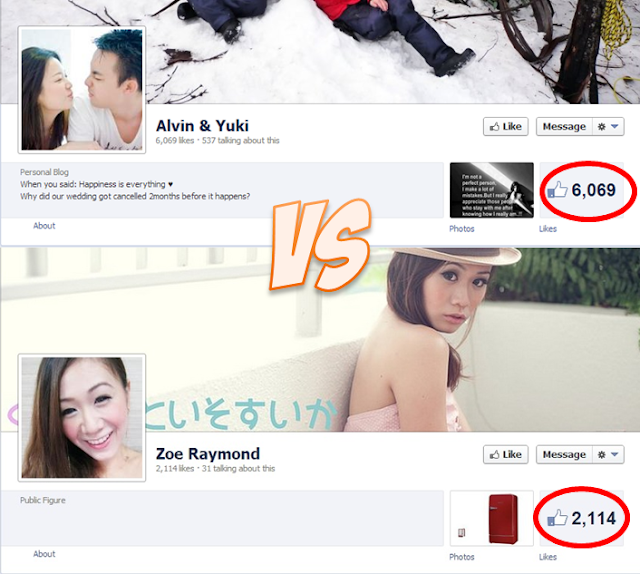 Malaysia's biggest problem now is not apathetic citizens. It is the education system who produced citizens who cannot think for themselves, citizens who are so entrenched in the government's ketuanan Melayu mindset and citizens who cannot think out of racial lines. Even when the Bersih 4.0 was supposed to be for all Malaysians, less than two days into it and you have people accusing the Malays for not showing up, and people accusing the rally as controlled by the Chinese. Unless this systemic divide is addressed, rallies like Bersih 4.0 will just remain as a one-off carnival event without incurring any significant changes. We've had 4 Bersihs already. How much change have we experienced since then? Bersih needs to extend beyond just a one-off rally and the duty of bridging the racial divide should take an even more important focus before we can even consider lasting changes. We need to start thinking of how we can go out to rural areas and reach out to the Malay voters there and those who are most likely to believe UMNO's messages. Rather than just duke it out over social media, like what we did during the Low Yatt incident, we need to start honest face-to-face conversations with one another, Like literally sitting down together and engaging in honest discussion. We need to see beyond stereotypes of each other but to see each other as similar human beings, united in one common struggle, to be able to move forward. We need to start knocking on each other's doors, interacting with each other more — like what our forefathers did — rather than just stick to our own cliques. Only by crossing the racial and class divide, by engaging the other side, can we move beyond this deeply ingrained racial mentality. Only when we address this difference do I think rallies will exert the effect it is supposed to have.